A summer house is vastly different than your usual home, it is still your home of course but in a more fun and relaxed manner. Summer decor calls for fun and vibrant accents. A summer house should be all about having a fun with family and friends in a space you enjoy, so try create a place that you will enjoy visiting year after year. It is also very important to remember that the location should have a great impact on how you design your home. For instance, a beach house requires a more laid back summer decor while a house in the mountains calls for a more cozy atmosphere. Here are some tips on how to decorate the perfect summer house. 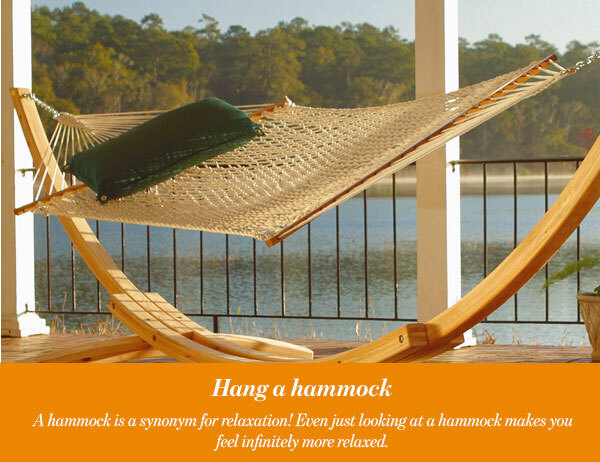 A hammock is a synonym for relaxation! Even just looking at a hammock makes you feel infinitely more relaxed. It is the first thing that comes to mind when the words summer decor are mentioned. Plus, adding this fun seat will probably tempt you to get out and enjoy the summer breeze in your garden. Some might even say that a hammock is a must have for a summer house! After all, if you will not hang a hammock in your summer house, where will you? 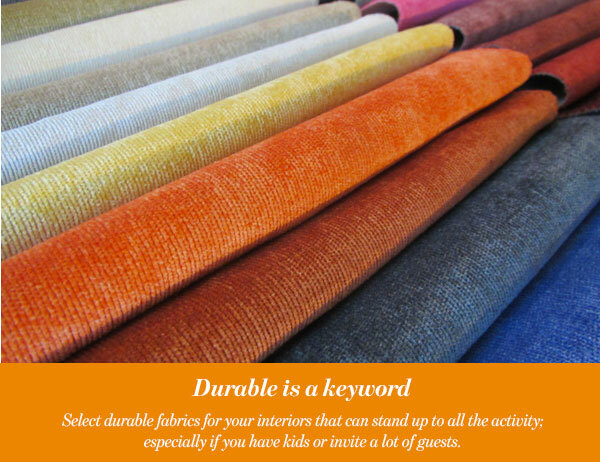 Select durable fabrics for your interiors that can stand up to all the activity; especially if you have kids or invite a lot of guests. Try to choose materials and fabrics that can stand the heavy use and that are easy to clean so you can enjoy your summer without worrying. Also choose a hardworking floor that can stand up to sand, water and whatever else will be tracked inside. Materials such as tile, stone and hardwood flooring are highly durable and easy to clean and maintain. 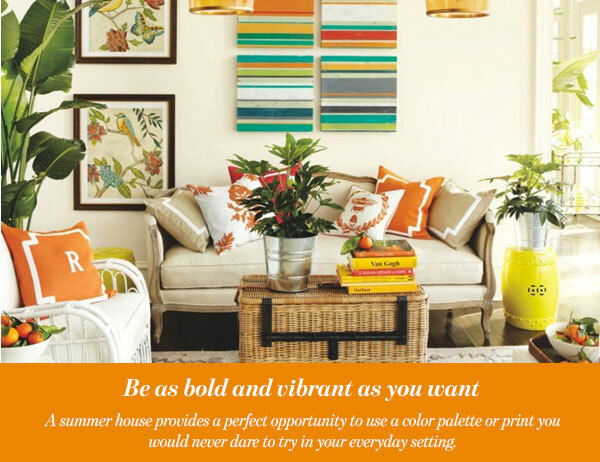 A summer house provides a perfect opportunity to use a color palette or print you would never dare to try in your everyday setting. Thus, embrace the fun factor! Bring in decorating ideas like stripes or bold prints and do not be afraid to throw some vibrant colors into the mix. Moreover, a summer house might be a great opportunity for you to get whimsical and thematic in your decor. For example if you have a beach house , you can indulge in choosing furniture and accessories shaped like canoes, lighthouses, or seashells. 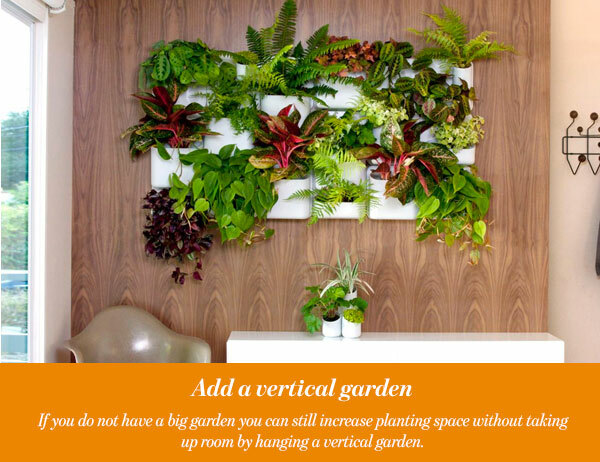 If you do not have a big garden you can still increase planting space without taking up room by hanging a vertical garden. Plant your vertical garden with herbs, flowers and vines of your choice. But be careful though, vertical gardens in full sun can dry out quickly. So try to choose more tolerant plants. 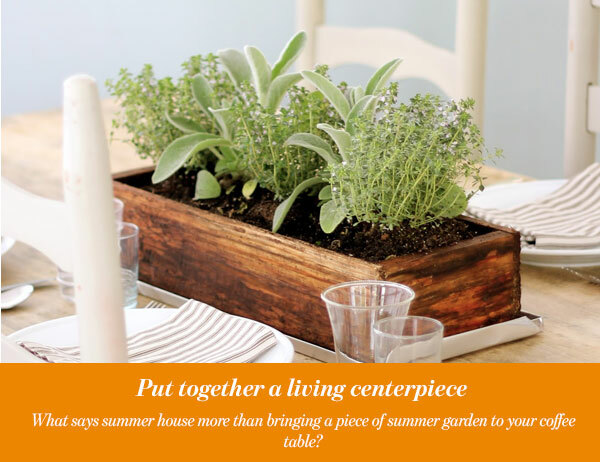 What says summer house more than bringing a piece of summer garden to your coffee table? Far more long-lasting than a bouquet of fresh flowers, and just as colorful. A living centerpiece brings a bright and happy outdoor vibe indoors. A succulent centerpiece can grow for years in the right spot, it adds a happy summer vibe to your summer house. Who wants to worry about tidying up while on vacation? No one of course! So make your life in your summer house easier by making organizing everything easier. First of all, minimalize as much as you can, a summer house is not a place for clutter. Clean surfaces and a house that only bears the bare essentials is a very relaxing atmosphere. Plus, it does not require constant tidying. Second, make a space for everything. Storage is your friend, any piece of furniture that comes with a storage space saves you a bunch of clutter. 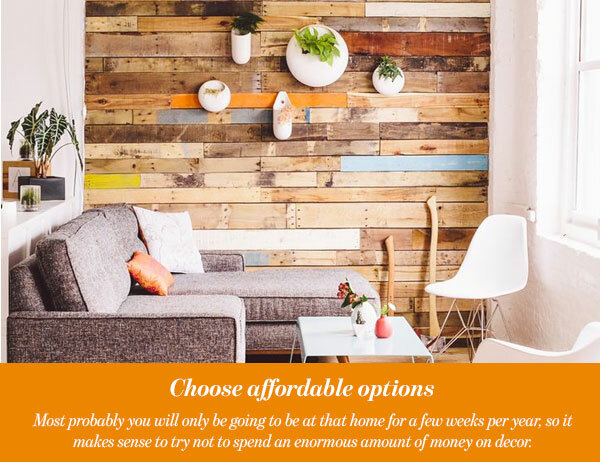 Most probably you will only be going to be at that home for a few weeks per year, so it makes sense to try not to spend an enormous amount of money on decor. Try to keep your design casual and cozy. You do not need to have formal living spaces in your summer house, but rather furniture that is sturdy and conveys warmth and relaxation. This is not the home for fine china and delicate furnishings, keep the high-end furniture and accessories to your full-time home so you can appreciate them more often.